L.O.V. was once in our Müller stores and back then I didn't pay much attention to this brand. But then they started to came out with very interesting products, once they were already gone from Slovenia, so I usually checked their stand in Austria. 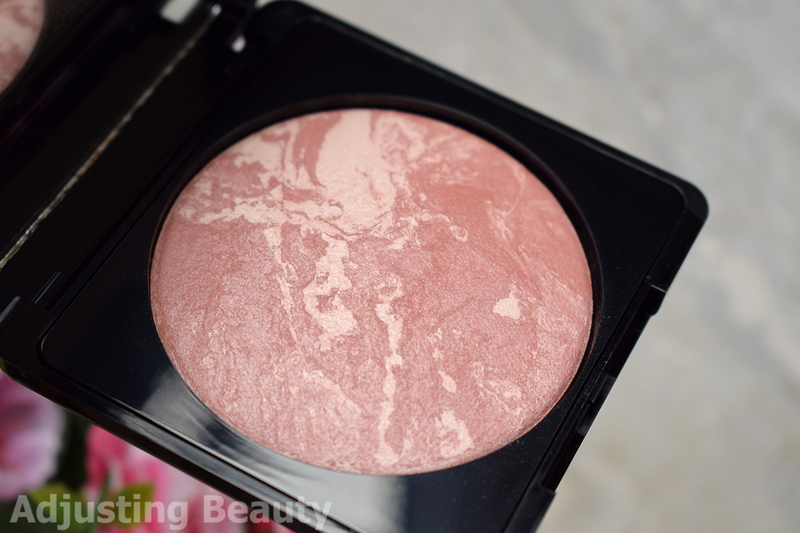 I got this blush there, when it was half off, because Austrian DM also discontinued L.O.V. It's a bulky packaging with black marble design that is gorgeous, but could be less thick. The packaging also has mirror inside, so I forgive it the bulkiness. In general, it's very well made. In it is 6 grams of product and it costs around 10€. In Slovenia we can get a few L.O.V. products on licila.si. This is baked formula, but for such, it's actually wetter than the most. It has gorgeous marble design with two toned colors that mix together. These blushes are also vegan. 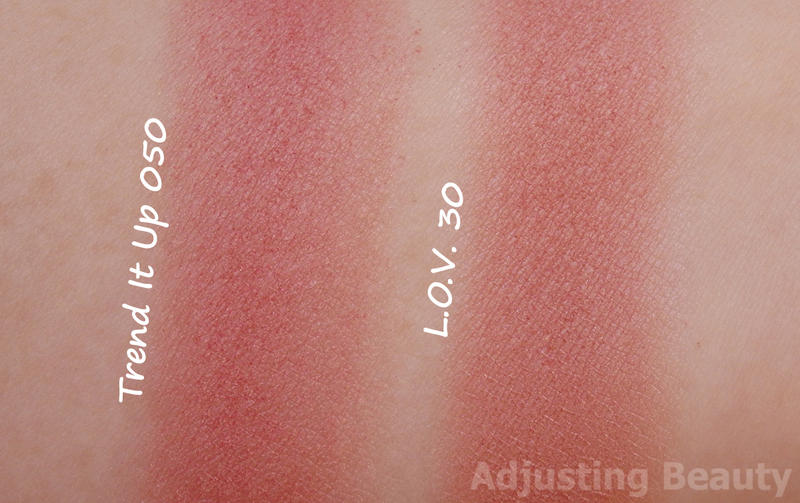 Pigmentation is great with just one swatch, but you may need to build it up to get deeper color. It has quite strong floral fragrance to it. There are 4 shades in L.O.V. standard range (warm pink, cool pink, mauve and coral) and they've recently added 2 new metallic shades. I got the most neutral and muted one. 30 Beautiful Minds Empower Other can look different depending on what your marble design looks like. Apparently, some have a lot more of that highlighting shade in it, so it can almost look borderline highlighter like. It's a gamble picking it up, because it's sealed. Mine has just a tint of lighter shade. Mixed together it creates gorgeous warm brownish mauve with cool sheen. It's like the perfect mix of brick orange, brown and mauve. On my warm skin tone this looks like a warm mauve and goes with pretty much every look. The shimmer in it is very fine, so it gives you that beautiful satin sheen without any apparent shimmer. This is such a unique shade that I only compared it to one other blush in my collection, although I have no dupes for it. 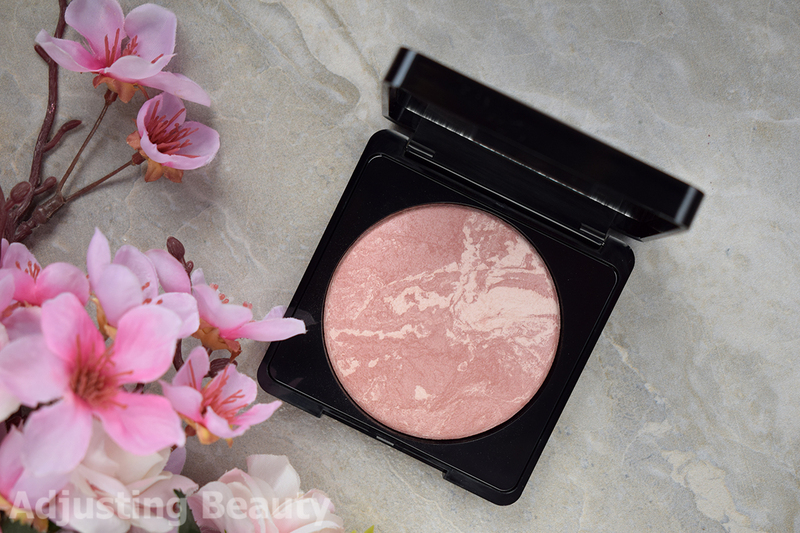 Trend It Up Powder Blush in 050 is more pink toned, but it also has that muddy undertone. Sheen is definitely warmer. It blends out so effortlessly. I never get streaky or uneven look with it. This formula blends the edges so well that you don't really need to do much with the brush. I find it to be long lasting, because it was pretty much the same intensity at the end of the day. It wears lovely. I am still regretting not getting more of these blushes when they were on sale. 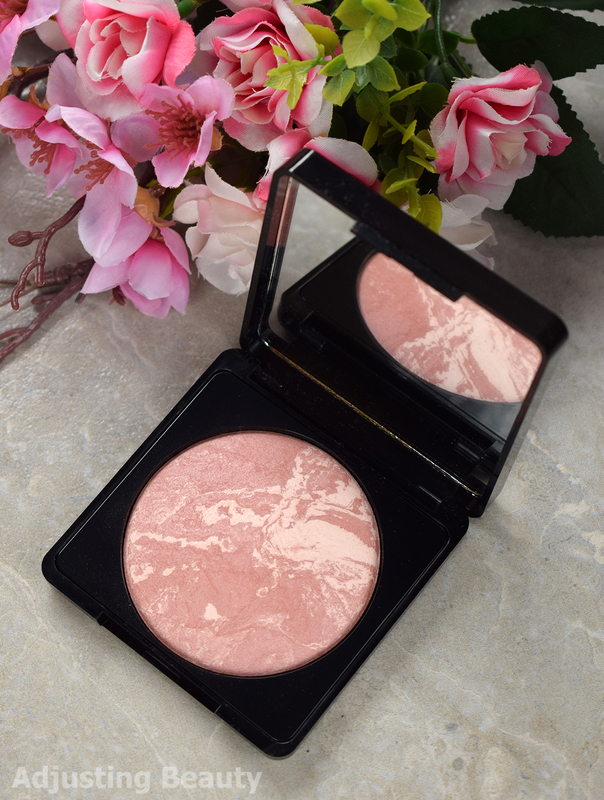 Some say these are dupes for Hourglass Ambient blushes. I can't compare, but nevertheless, this is one of those effortless natural looking formula with healthy sheen and great blendability. Packaging is gorgeous, so is the design and it lasts on my skin so well. 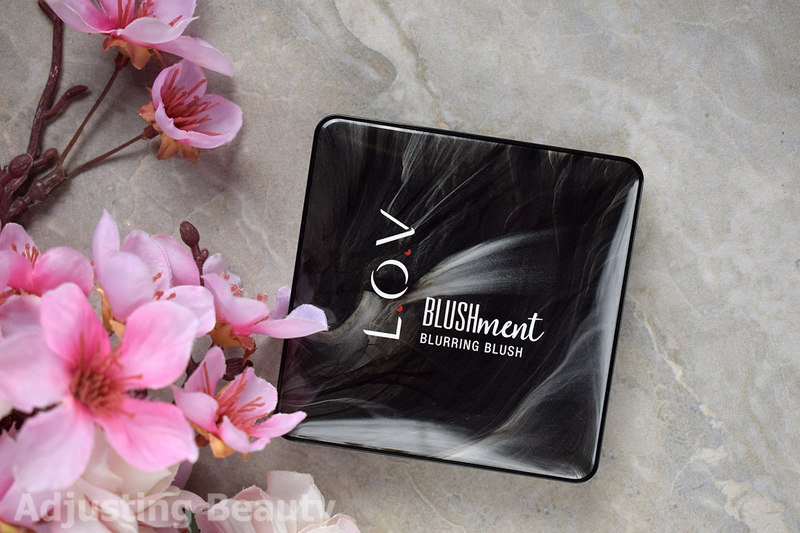 Those are definitely one of the best blushes in the drugstore range. They look and feel much more high end. I only wish I had gotten more shades - at least 10 Be The Game Changer and the new metallic shade 60 Be The Next She.E.O. These are definitely worth picking, if you like the look and colors. They will last you a lifetime. Čisto sem navdušena nad kvaliteto :) Tole so pa res odlični blushi in mi je res škoda, da LOV ni več v naših drogerijah, ampak takrat ko smo še imeli stojala, takih izdelkov ni bilo. Vsi trije odtenki, ki jih imam so odlični, je pa moj 30 bolj satenast in nima highlighter videza, medtem ko ostala dva ga imata. Pigmentacija je odlična, zelo lepo se nanašajo, zabrisujejo in obstojnost je odlična. 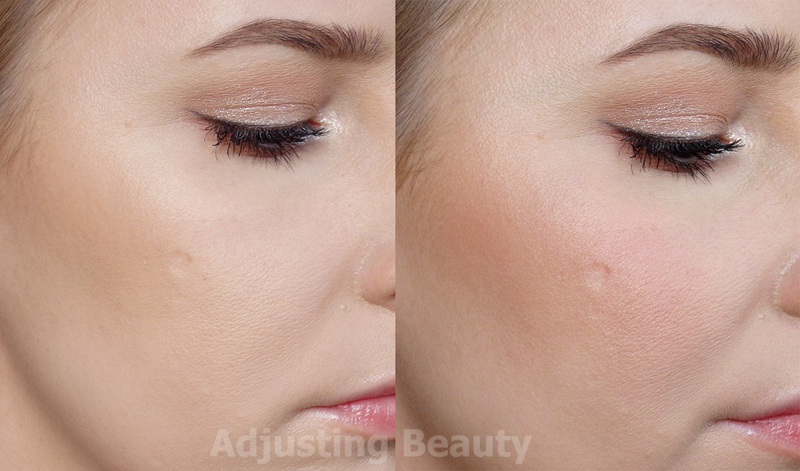 Zame so to trenutno najboljši blushi, ki jih imam in premagajo celo theBalm. Jaz isto. Prej sem dvomila v cene in res bolj malo preizkusila. Potem, ko so znižali, sem našla pa nekaj res dobrih favoritov. Meni je tudi škoda, da je več ni v Sloveniji. Jaz sem tudi obsedena z marble vsem, tako da te razumem :D. Jaz mogoče tudi naročim še kakšnega :).